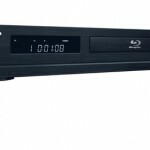 Oppo has released the BDP-80 Blu-ray Disc player, their cheapest player yet at $289. 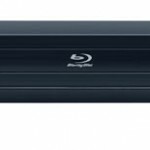 The BDP-80 features 1080p24 at 24Hz, SACD & DVD-Audio/Video, and BD-Live (w/1GB memory). For audio the BDP-80 supports Dolby TrueHD, DTS-HD Master Audio, 7.1 Channel output, and comes with digital optical and coaxial outputs. Oppo also has the higher-end BDP-83 and BDP-83SE Blu-ray players, priced at $499 and $899 respectively. While the BDP-80 is much less expensive than those models, the $289 price tag is still a bit too expensive if you consider it lacks streaming media capability (a feature that can be found in even less expensive models from other brands). More features lacking in the BDP-80 (present in the higher-end BDP-83) are DVD 24p conversion, IR In/Out ports, and RS-232 remote control — although you would expect to have to give up some goodies to keep the cost down. will this one be compatible with 3D blu-ray standards? Firmware upgrade?